RESCUE: Heroes in Action - You’ll have to ask yourself this question of questions every day as a firefighter in "RESCUE: Heroes in Action." Take full control of thrilling rescue missions, build your team of ready and effective firemen and women and constantly expand your fleet of vehicles. Maybe then you’ll be able to answer the question of questions with "EVERY SINGLE ONE." Do you have what it takes to be a "Hero in Action"? There's only one way to find out. • Adds a new scenario, 10 missions, new emergency vehicles, 4 new and unique characters and much, much more to the main game. • A variety of realistic firefighting scenarios set in a large city, including an emergency landing by an airplane, a gas explosion, a car crash and a blaze at an oil refinery. 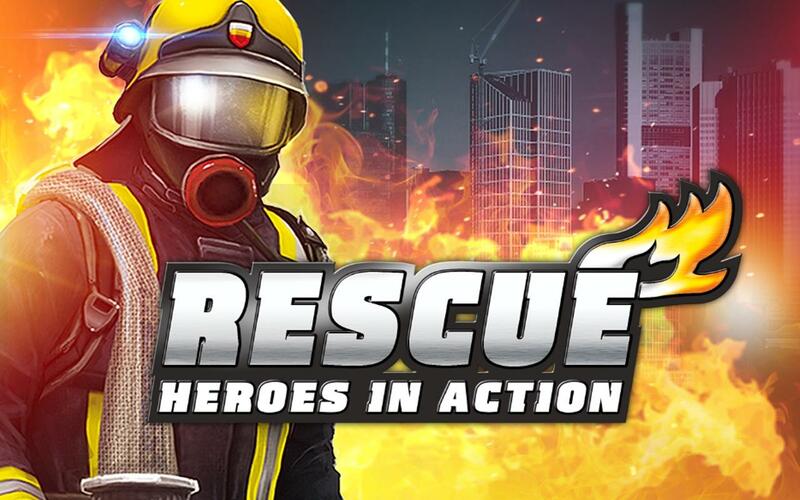 • Captivating blend of simulation and strategy from the makers of the bestselling PC game "RESCUE: Everyday Heroes"
• Unlock upgrades like bigger tanks, enhanced water extinguishing power, improved engine performance, greater hose range, more durable suits and increased fire extinguisher capacity, and help increase the operational efficiency of your squad. • Each member of your team has their own biography.